Larry and Andy have a halloween extravaganza! 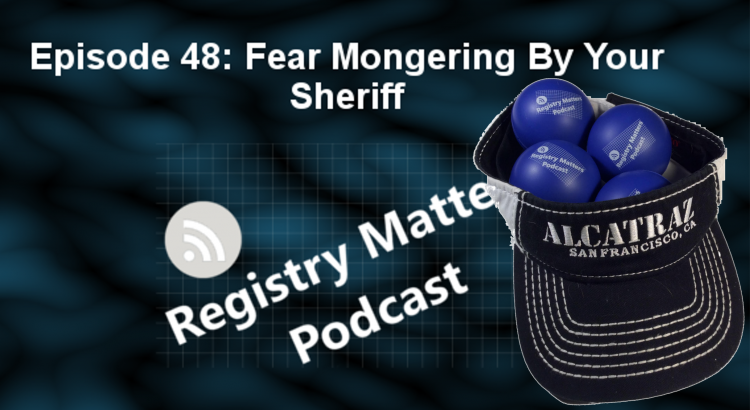 An interview with Ken Ackerman who was sitting in during the case in Nebraska regarding registering minors. Also three listener questions and by then, there’s only time for a couple articles. One from Reason magazine that talks about the various places locking people up on Halloween. And also, a Sheriff in Missouri is handing out signs for registrants.